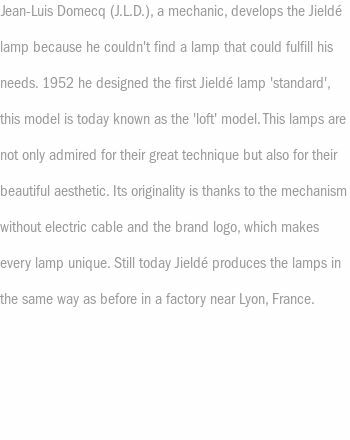 2019 Jieldé announced the launch of Aicler, a new articulated metal lamp containing design elements of the mythical lamp that has been manufactured in the same French factories since the 1950s. 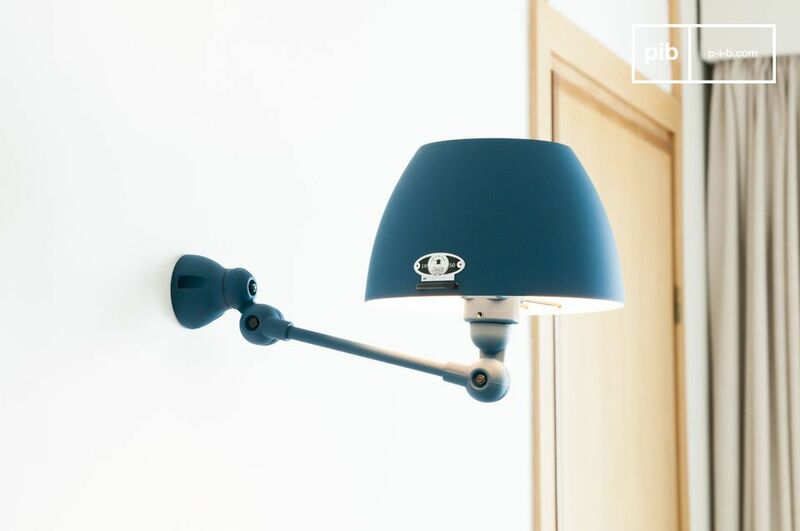 With his slightly curved lampshade reminiscent of traditional lampshades, this design lends a soft, almost feminine touch to the lamp, which has his origin in machine tool technology. 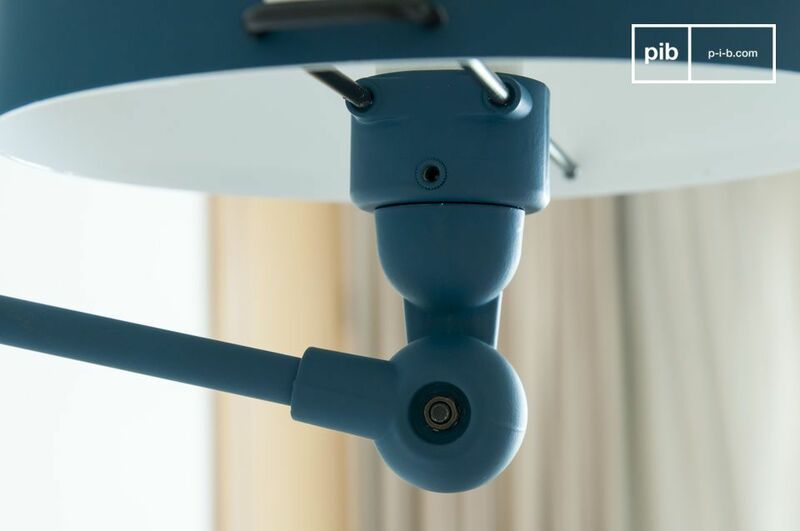 In addition to the dozens of colours available to order, pib has chosen to present the Aicler wall lamp in ocean blue, which has a touch of green that brings it closer to a petroleum blue. 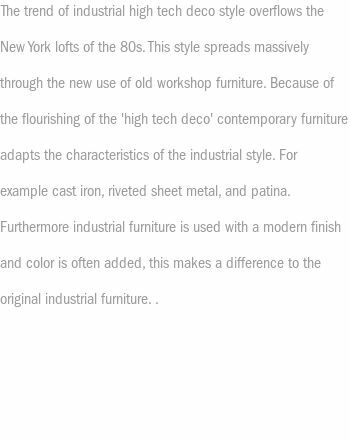 To perfect this decidedly trendy colour, the finish is very matt. 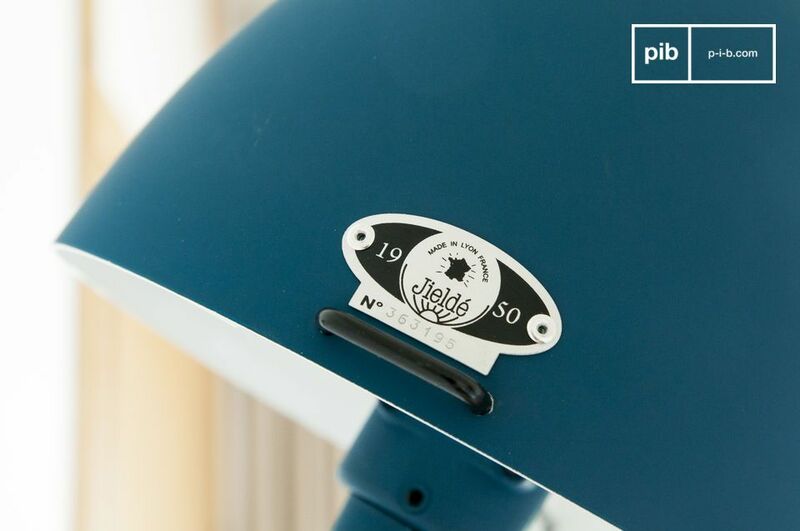 As always with Jieldé, each lamp is clearly numbered on a shield riveted to the lampshade. 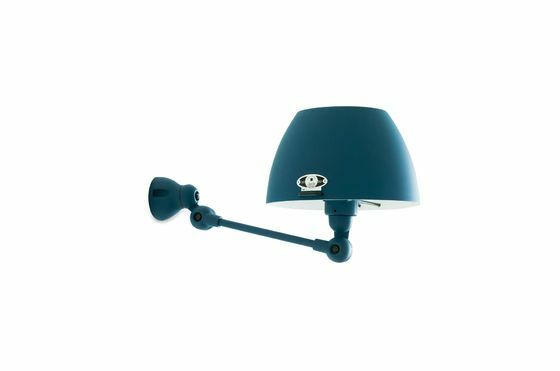 The Jieldé Aicler wall lamp will find his place particularly well at the head of the bed or in a hallway. It can be equipped with an optional switch or power cord. The screen can be aligned horizontally or vertically to give the sconce a slightly different style. Similarly, the choice of a maximum lamp power of 25 W determines the brightness achieved.